Company teams starts reviewing work at BPSL's Odisha plant, aims to bump up production. 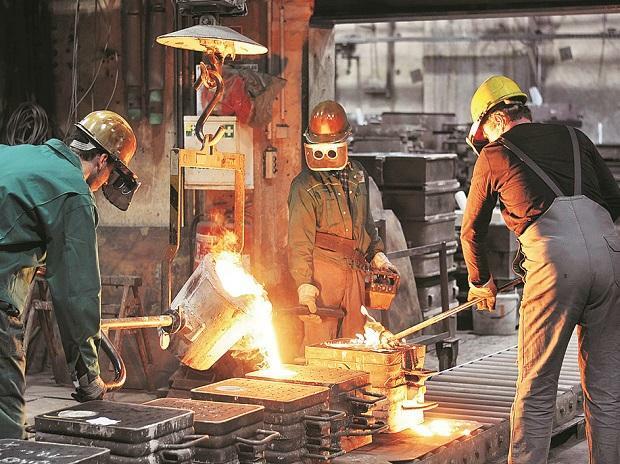 JSW Steel, which has successfully bid for the stressed assets of Bhushan Power and Steel (BPSL), hopes to take over the operations of the company by the end of this month. “Committee of Creditors (CoC) has cleared our bid for acquisition of BPSL. We are waiting for the National Company Law Tribunal (NCLT) to approve the resolution plan. Our team is ready. Hopefully, we will take over the operations of the company by the end of this month,” said Sajjan Jindal, chairman, JSW Steel. Sources said a small team of JSW was already at BPSL to understand the operation of BPSL’s flagship project, a 3.5 million tonne steel mill at Jharsuguda in Odisha. One of the first tasks of the JSW will be to operate the plant at its approved capacity. Though the plant has environment clearance (EC) to produce 2.8 million tonne steel per annum (mtpa), it is currently operating at a level of 1.8 mtpa. This production enhancement will require some minor modifications and synchronisation, which will take about six months to achieve, sources said. The other challenges JSW Steel faces include improving the morale and productivity of the existing employees of BPSL and resolving the logistics issues involving transport of raw materials like iron ore and coal to the plant and evacuation of finished products. BPSL was put on the block by the creditors under the Insolvency and Bankruptcy Code (IBC) after the Sanjay Singal-owned company’s accumulated debt mounted to Rs 47,000 crore. JSW Steel has been issued a Letter of Intent (LoI) for acquisition of the assets by the sale administrator after its revised bid of Rs 19,650-crore pipped past Tata Steel’s offer of Rs 17,000 crore. Besides the acquisition of BPSL, JSW has lined up a greenfield steel project, with an intended capacity of 12 million tonns and investment of Rs 55,000 crore in Odisha. The plant will come up on 3000 acres, earlier acquired for the jinxed Posco project in the state. “We are in the process of preparing DPR, pre-feasibility report for the project. We have also sought various statutory clearances such as environment clearance, forest clearance. Once we get the forest clearance, we would start work on the project”, Jindal said.